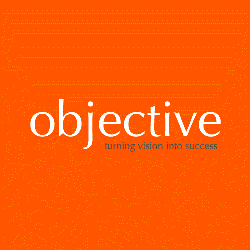 Objective is a software, web, data insights and mobile development partner. The company creates bespoke software solutions that can be hosted on premise, or in the cloud including database programming, cloud development, client portals, systems integration, mobile and tablet apps. Objective is a software, web, data insights and mobile development partner. The company creates bespoke software solutions that can be hosted on premise, or in the cloud including database programming, cloud development, client portals, systems integration, mobile and tablet apps. Objective's features are focused on helping organizations gain value from their investments in Websites and Content Management Systems, Mobile and Tablet Devices and much more.